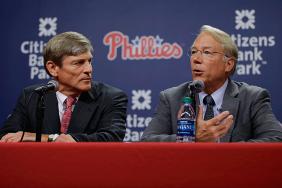 Succeeding Pat Gillick, Andy MacPhail is now the club president of the Philadelphia Phillies. MacPhail joined the club in June as Gillick’s assistant, but Phillies’ owner, John Middleton, said MacPhail would take over for Gillick when the 2015 season came to an end. Gillick will remain with the club as a front office advisor. MacPhail was the previous General Manager of the Minnesota Twins, President of the Chicago Cubs, and President of operations for the Baltimore Orioles.